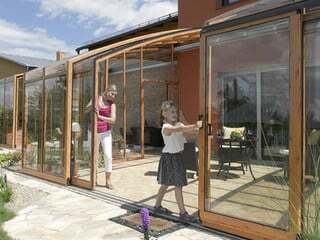 The innovative shape and quality architecture of the Corso Solid Patio Enclosure makes it the ideal complement to your home. 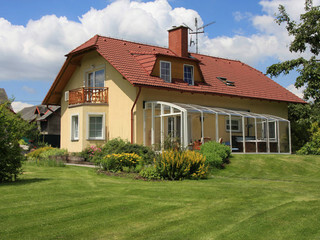 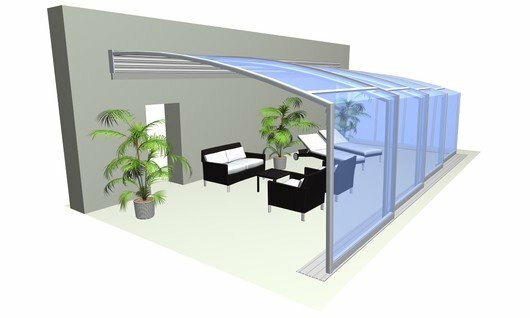 It’s design makes it easy to open and close to suit the weather and offers protection against all kinds of inclement conditions. 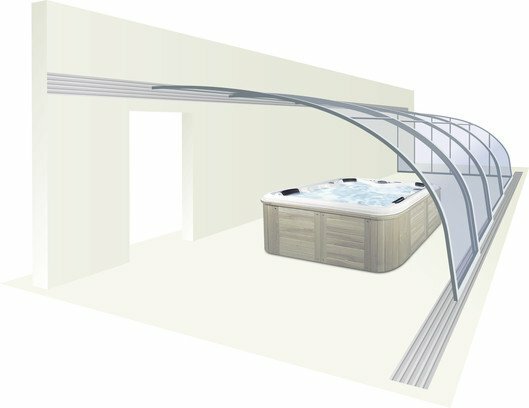 Using a quality aluminium bottom rail construction and beautiful arch, the Corso offers a spacious indoor environment for your family and friends to enjoy. 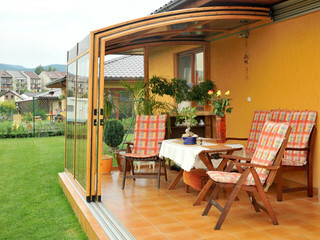 Retractable in seconds, this enclosure makes it simple to react to quickly changing weather, saving your garden party guests from unexpected storms or rain showers. 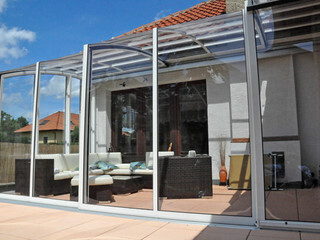 The convenience offered by the Corso enclosure is backed by a retraction lock security feature, ensuring no unwanted visitors can gain entry. 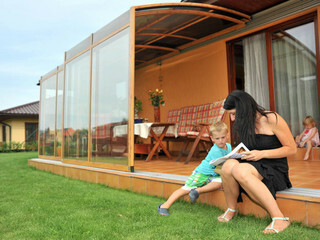 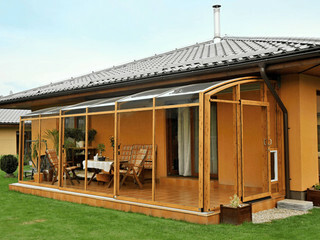 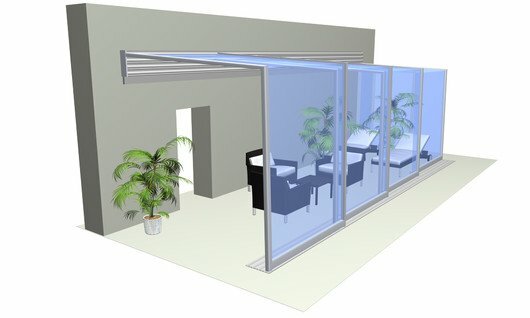 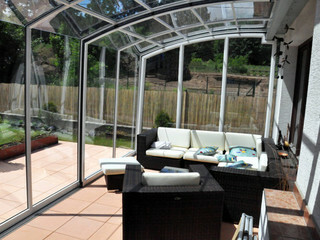 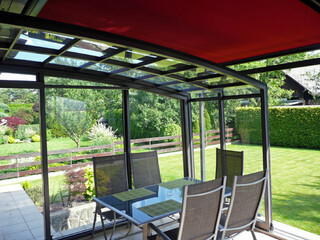 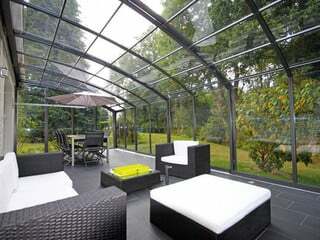 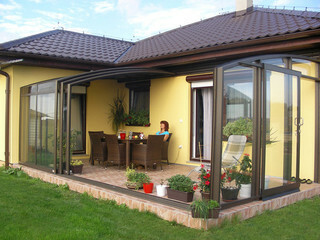 Alukov Corso Solid Patio enclosures are customisable to suit your environment and of course, personal choice. 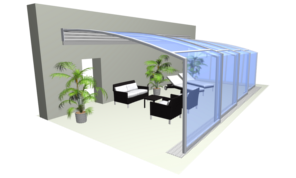 The overall construction, including sliding rails come in a choice of colours and even the polycarbonate panels of your enclosure are available in transparent or smoke effect. 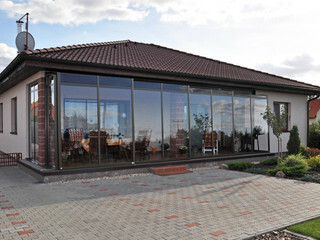 Choose quality. 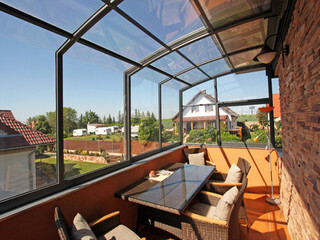 Choose Alukov enclosures.